We can assist you in filing the necessary paperwork with the FCC for you to receive a construction permit (CP) for a LPTV or TV station. We are an engineering company first and foremost, however, we are asked equipment questions, budget questions, buildout and operational questions and we have a lot of answers to assist you as you begin. Our experience comes from helping past clients go through the same procedures you are now considering. We provide all of your engineering filed before the FCC and complete and submit the FCC Form for the LPTV application. Our first successful TV application was filed in the 1970’s and we’ve been filing these ongoing for our clients since, both new applications and minor modifications. We use the same software as the FCC requires and we work closely with FCC staff in preparation and submittal. When necessary, we are ready to recommend several great FCC attorneys, or work with your FCC attorney from the beginning if that is your preference. Answers you need have been vetted through experience, past client build-outs and continued support, and through our relationship with the FCC. Will we guarantee our work on your behalf will be granted by the FCC? Unfortunately, no, there is too much evolution of the ongoing project to be able to promise you a YES beforehand. However, we can always tell you what to expect, how the process is going and the negatives that can change you from a yes to a no, such as “You have a competitor which has turned up with deep pockets”. We guarantee our work will be “Accepted for Filing” by the FCC which means the work is error free. What we don’t know is who else might decide to go after the same channel, what the market would allow in changes to resolve the competition between you and the other(s), and the timeline for the FCC to get moving on a filing window or eventual (in some cases) auction. Call us to discuss your schedule, cost estimates, our fee, and the entire process. We will have to talk to know your plans which naturally affects our answers to you. We handle everything the FCC requires for your LPTV engineering, and assist in recommendations of equipment, sources, referral, and helping you go from A to Z without you having to figure out how to do any of this on your own. Life provides headaches, and our job is to keep you from having one when we work for you in regard to any broadcasting venture. To start a LPTV station, now digital for new applicants, the first step is to determine exactly what channels are available in your area. Just like the radio station process, we must first run a Channel Search . We provide back to you the results of the search, in a report form, very easy for anyone to understand, but with the technical details included in the back of the report so that even an engineer is satisfied. After you have reviewed the report, please let us know if the findings meet your expectations and if you wish to proceed with the application. Prior to construction of any LPTV station, a FCC Construction Permit is required. The next step following the channel search is to file a LPTV application, requesting a digital LPTV Construction Permit from the FCC. This Form (346) includes an engineering section, which our office routinely completes along with all associated technical exhibits, legal, financial, and programming sections. The total time from tender to grant is typically 3 to 6 months. Once you have the Digital LPTV Construction Permit, you have 36 months to get the station built, on the air and licensed. Depending on your situation, you may immediately complete the buildout and get on the air the first month, or use the first couple of years to choose where to put the studio, buy equipment and generate local interest. 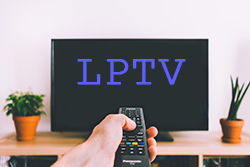 There are a large number of good equipment resources available to purchase LPTV equipment, and handle the installation and your training in how to use the equipment on a daily basis. Once you have a Construction Permit, you’ll notice you begin receiving a lot of materials, emails and phone calls from these companies. We will help you with this phase of the project just as we helped you get the Construction Permit. We’ll make sure you go on the air (and the local cable/satellite provider and internet) as economically and quickly as possible. Are you ready to begin? Contact Us , or email directly at sterlingjamesp@gmail.com, or call 706.397.8744. 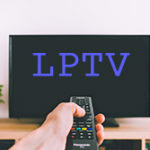 Any qualified individual or group, corporation or non-profit corporation may apply for a LPTV channel. We will assist you in making the decision on how you wish to proceed as an applicant. As to technical requirements, all transmitting apparatus proposed to be utilized must meet the requirements for type approval by the Commission as set forth in the Rules. In addition, each proposal must contain a complete, detailed diagram and narrative statement describing the technical aspects of the application. The showing must include an analysis of the interference potential for the channel selected. Such studies, as a rule, can be made only by a qualified broadcast technician. The Commission’s staff is not available for technical assistance to prospective applicants and the staff will only give advice on application procedures. It is highly recommended that prospective applicants for TV channels, retain competent broadcast technical help in planning and submitting applications. Only those applications that are engineered with care and certified by a technically qualified firm will be accepted for filing and processed.